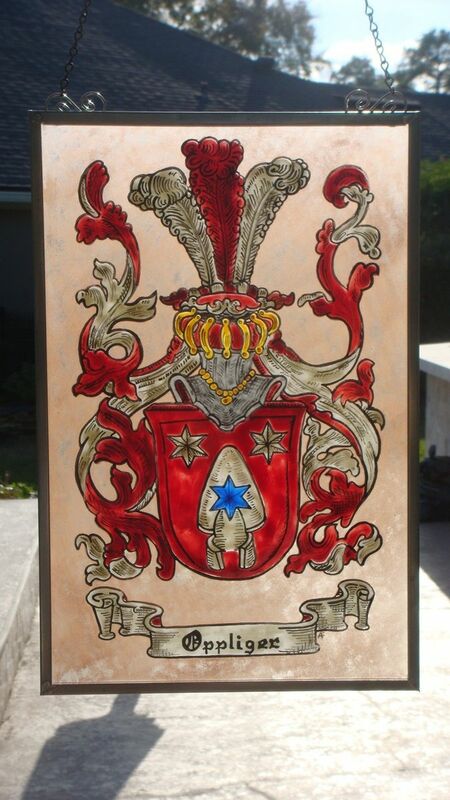 This is a real Family Crest comissioned from a family in Switzerland. 3 copies for each family member was made. Handpainted, each color fused individually in the kiln to avoid bleeding into other colors.